For the charging of batteries or single cells using wireless as well as wired communication systems, TECFLOWER provides any cell chemistry in the power range below 1kW. For example, the wireless loading of a simple lithium-ion battery with 2.5W as well as the non-contact charging of batteries with 500W is possible without any problems. 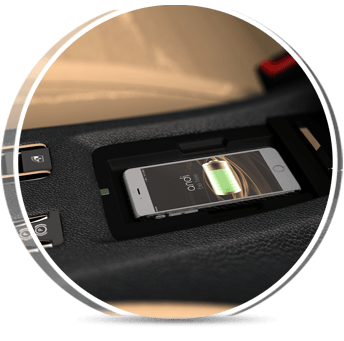 Wireless energy transfer concerns mainly the automotive industry, both the vehicle itself as well as the interior. This offers passengers more and more entertainment for the travel and waiting times, especially in the future. The current state of technic shows that the majority of travelers is based on comfort and on a substantially purified driving. The journey as an event – what is more natural than the integration of limitless freedom in form of wireless technology?